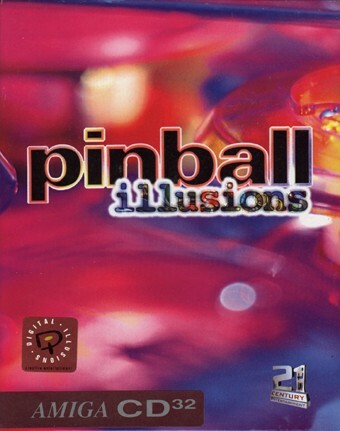 Pinball Illusions is the last good Pinball game igital Illusions ever made. Their previous pinball games were Pinball Dreams and Pinball Fantasies. The 3rd release is the first one with real AGA graphics and the CD32 version even have CDDA. This version do only have 3 levels, so where is the The Viking level? The PC Version had a fourth level and i cannot understand why they didn't include that one on the later CD32 version. That viking level did also have damn cool music that fitted the level. The good ting is that the CD32 version had CD audio instead, but why did they make a new intro tune that isn't half as good as on the disk version? The intro music is ok, but below the standard of Olaf Gustaffson... Anyway, the ingame music is very good is partially mixed with modules, but for the most part the CD is running. The reason is that over 100 tracks cannot fit on a 74.M CD so i understand why. They did a good job doing it this way. 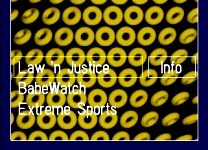 It's hard to say which level is the best, but i think it must be Law'n Justice or Extreme Sports and the last one because of the music style that fit so well into the level. All in all, Lawn'n Justice may be the best, but isn't half as good as the perfect level "Mean Machine" in Slamtilt. Yeah, that level in Slamtilt is the best pinball table i have ever played and the music is plain awesome too. No more illusions or ? ;) The Pinball Illusions CD32 do also save the high-score to the NVRAM in the console. This game is the second best 2D pinball game ever and the winner is Slamtilt on Amiga, and NOT the crappy late PC port of Slamtilt that is also partially stripped to be weaker than the Amiga version. There were released a Slamtilt 3D on PC too, but did onlt contain 2 levels and worst ones :( How could the developers be so stupid...No wonder it didn't get good reviews... I own that original and there is actually only 1 level on each CD so there is 2 discs in the DVD cover. No wonder it didn't get good reviews even the engine itself was good, but contained the most boring levels. Look also out for Pinball Fantasies CD32 which have 2 CDDA and some AGA graphics.